Congratulations, 15 people signed up yesterday. You have 30 days to convert these people to paying customers starting now! What will you do? Converting customers. This was the problem in my first software start-up Toddle.com. I have always been good at attracting users. Getting them to sign-up and hand over an email address was easy. Usually the simple act of asking was enough. But attracting users and getting them to sign-up was not getting me the customers and revenue I expected. There was something I was missing. I was sure I had a good product, and I was attracting the right people. It was what happened after a user signed up that caused me problems. Or maybe, not knowing what was happening next was the problem and made me feel I was not in control. I don’t like feeling out of control. I needed to know what was happening to each user after the sign-up and just before they become a paying customer. More importantly, I needed to control those steps and push a user towards becoming a customer. After I sold Toddle, I started looking closely at this problem and how other companies do it. This information is not readily available, so it meant signing up to hundreds of companies and tracking how they move a user to a paying customer. A few patterns started to emerge. This meant I was able to turn these patterns into a framework, and build an activation campaign around it. Here are the key steps I found from my research. A user needs to take a set number of actions when using a product or a site that leads to an AH-HA moment. This is the key activation point. The moment a user realises the value of a service, they become hooked and have no problem paying for that value. You need to direct those user actions. Coming from a design background my default solution to this problem would be building a help user interface, in app, to nudge a user along a set path. But I realised this was useless when a user did not log into the site. Instead I would need to take charge of the communication. Email is the ideal tool for triggering this interaction. Onboarding emails are messages sent to customers that help them get familiar with your product and thereby encourage usage. SaaS onboarding emails are sent over a defined onboarding period, such as 30 days, and can significantly increase trial-to-paid conversion. Researching these companies, the common timeframe used to activate a user was 30 days. Why 30? It doesn’t matter. It’s just as starting point for your company to measure against. You may eventually find, like Shopify.com that 14 days is enough to know if a user is going to convert. Microsoft Office 365 use a 60 day timetable. What is important is that you try and activate a user at the earliest possible time. 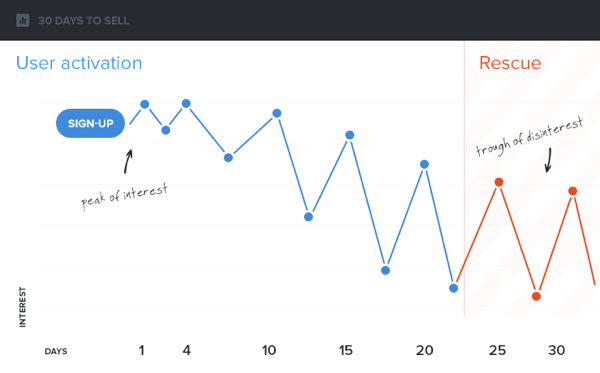 Interest in your product or service is at its peak when a user signs up and will drop very quickly over time. You need to set up an onboarding email series that go into effect from the moment a user signs up, over a period of 30 days, designed to push a user to the next stage and activate them as a paying customer. Twitter knows that a new user needs to follow 30 users before they understand value of the service and stick around to use it. 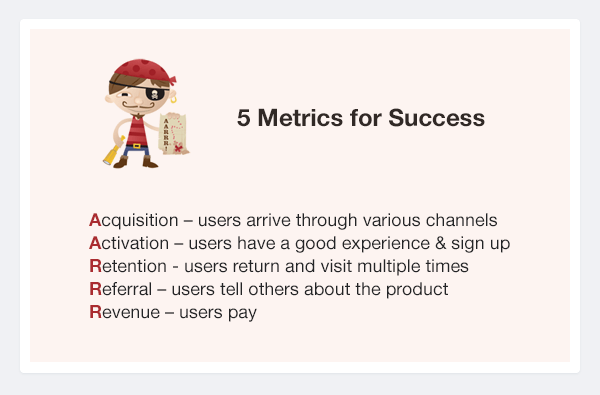 This is the core metric that activates a user. 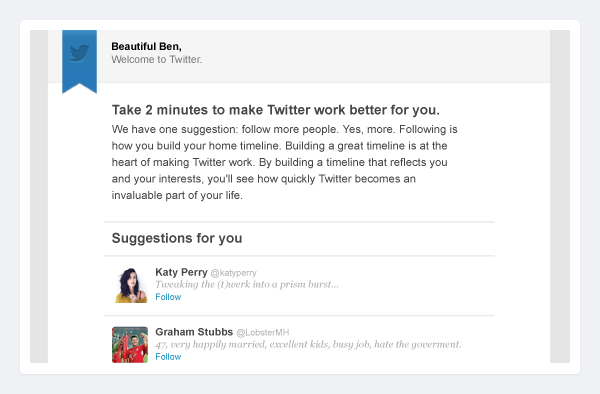 So the initial emails from Twitter push a user to follow 30 users. Facebook adopts a similar approach. For Dropbox, the file backup and syncing service, the key activation metric is installing their desktop app, while online fashion retailers like Zuilily, Scoutmob and Fab.com know that a user needs to buy something early, however small. With this in mind Fab.com offer a coupon code in their welcome mails. Other e-commerce sites open with some kind of sale, preferably with a time limit, to prompt users to buy. The best time to send these offers is immediately upon user sign-up; as this is the point a user is most engaged with the site and brand. Activation emails are a simple and easy feature. Setting the emails to go out 3, 7, and 30 days after a user signs up is a great starting point for success. The order of these steps may vary but activation is the critical link between acquisition and revenue. Sean Ellis of Qualaroo recommends you need to identify the must-have experience of your product and to look for ways to front-load that experience. The sooner your prospects experience the value of your product the better. In the case of Twitter for example, the must have experience is finding out what your friends are interested in and talking about. And having enough people to keep your Twitter stream new and updated every time you read it. 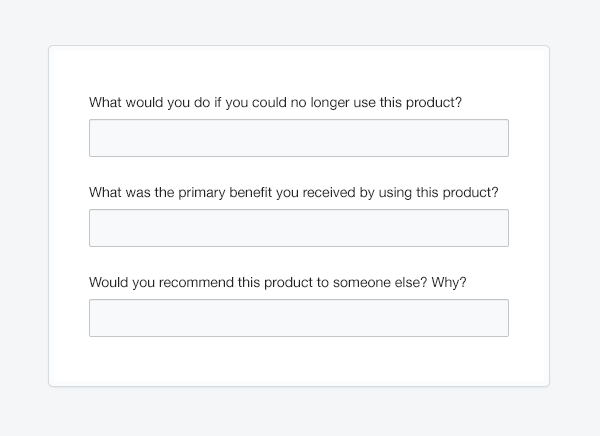 The easiest way to find out is to ask your users. Surveys and customer development can help you identify what the must-have experience means for your product. So try survey questions like the following. I worked with Sean on this question for an early stage start-up of mine. He developed a survey tool (http://survey.io). The results were amazing for our team and informed not just the activation flow of current users but how we positioned the product in the market to attract customers into the sales funnel. Patrick McKenzie (https://training.kalzumeus.com/) has a great example of how one activation email generated an additional $6,000 for his company. So Patrick started mailing users at day 20 of their trial. If they had already hit the key activation metric the mail praised them for how much value they had created for their own business. 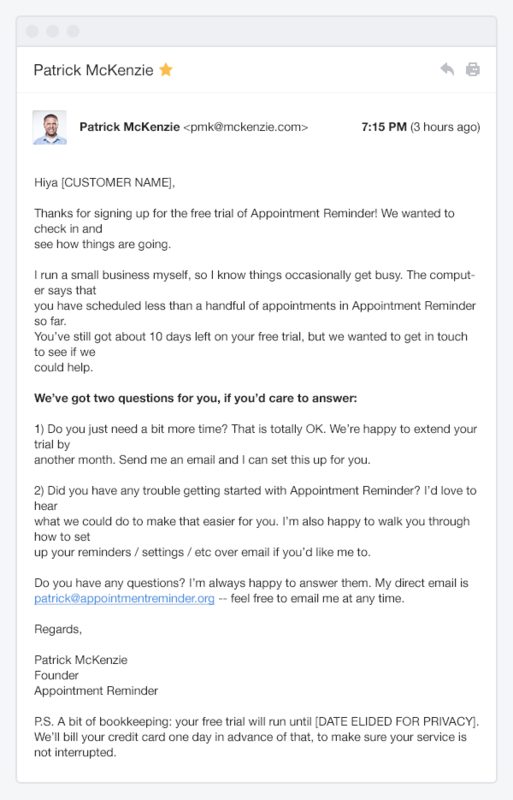 The email also pushed how great the value of Appointment Reminder now offered. First impressions are important. Your first email sets the tone of your relationship and is a deciding factor on whether your subsequent emails, no matter how good, get read by your users. The welcome email must walk the delicate line of getting a user to do enough to see the value of your business without asking too much and causing your email to be filed away for reading later (or never). Compare the minimal, functional approach of Cliniko.com to bright and visual Asana who try get you excited about the next steps. 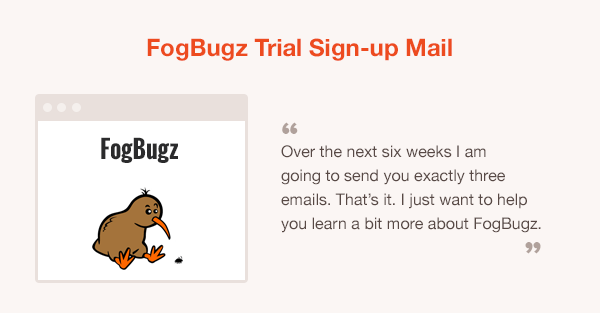 Bug tracking software Fogbugz tells you upfront what to expect over your trial to get you looking forward to their emails. A welcome email most likely contains the users account information and will be referred to often. 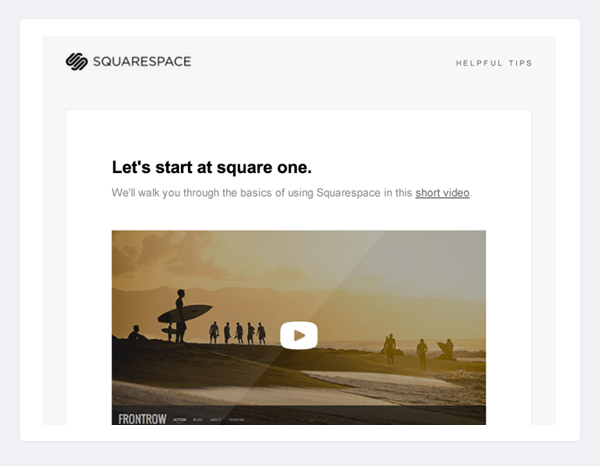 So a reminder to save the email with links to contact us, support and helpful guides like Squarespace.com is a good idea to help users. 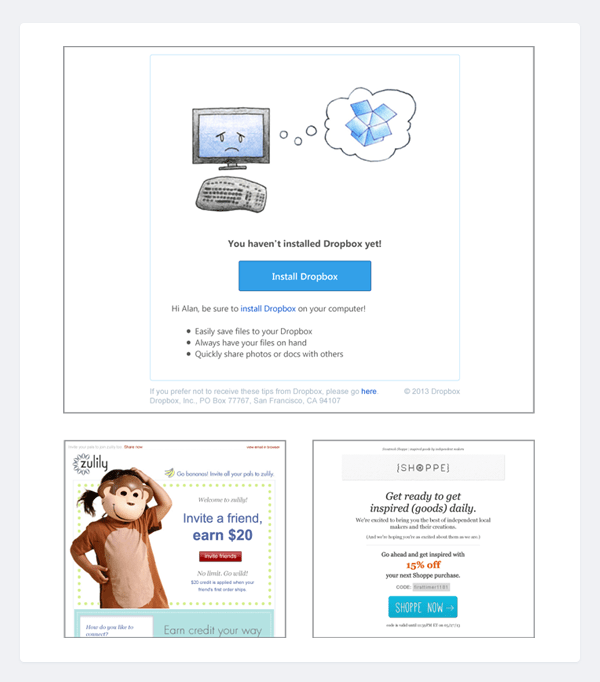 Some companies like Mailchimp do two emails on sign up. One is your account information. A second separate welcome mail starts you on a series of 9 how-to guides of their key functionality. It is very easy to forget how effective personal can be. Clinic booking app WhatClinic.com assign every new user a dedicated account manager so every mail comes from a real person, with a profile picture and signature. Likewise, e-commerce software Shopify.com provide a user with their own guru to help. 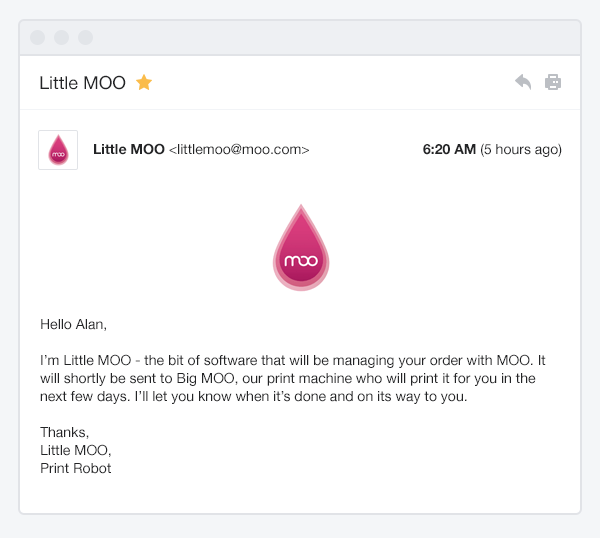 Print company Moo.com give their automated mails a personality called LittleMoo which gives a normal transactional email a sense of fun. A great strategy is to take your existing marketing and support content into a step by step ‘get started’ guide. A common approach is a list of getting started links in your initial welcome mail, like Shopify in the image on the right. But why miss out on the opportunity of contacting users more often and pushing them towards activation. A step by step guide gives you a great excuse to regularly contact users to nudge them deeper into your product. MailChimp go all out with a magnificent nine step guide over the 30 days. At the end of the trial, the user will not only know how to use the application but will feel like a power user. You show your user how to use your application, most especially the key activation features (see the chapter ‘Core activation metric’). You get to contact the user often over the time of the trial. You are helping them out and keeping your business in their mind. It is very easy to get caught up in features with this approach which is a mistake. Features are what you ask your designers and engineers to provide. Benefits are what you hook customers with. Facebook, for example, do not talk about the ability to easily import all your email contacts from Gmail (feature). Instead they talk about how easy it is to connect with all your friends (benefit). Shopify, in the image above, lead with the benefit of getting more sales. Read your support queries for the most common issues people have and grab your replies. Focus on the key activation metric and push it early. Take the reports from your sales team and user testing teams and grab the most common questions and answers. An additional benefit of this approach is that you are preempting support issues which make you look great to prospective customers, while at the same time cutting your support costs. How you present your guides is up to you and your audience. Shutterstock present simple, but visual, introductions to their main features and benefits while Squarespace deliver a more indepth video guide to the user. 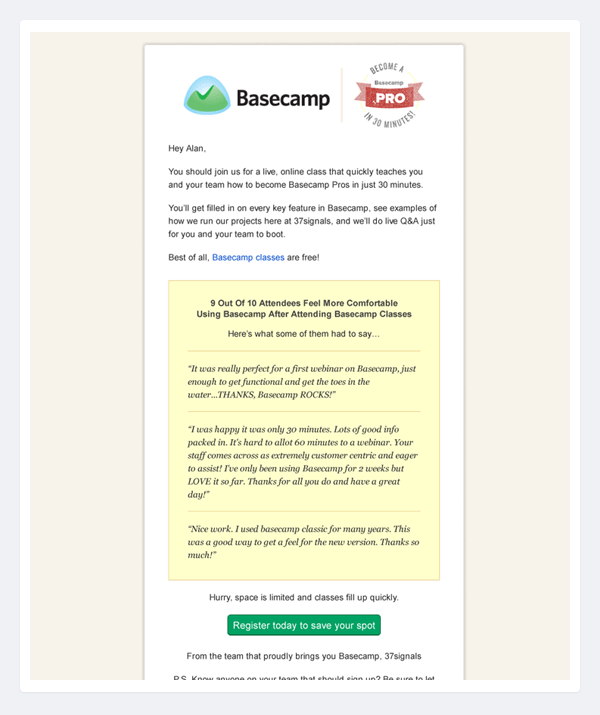 Basecamp from 37Signals opt for a more interactive 30 minute Webinar or live class to quickly teach a user how to become a Basecamp pro. Imagine a world where you did not have to guess the sequence of emails to send out when a user signs up. Where you did not have to test the best times to send by random trial and error. And where you did not have to read a user’s mind to figure out what they might want to know right now. Or even better, imagine knowing a user is in front of their computer right now, ready to use your software and all you need to do is tell them what step to take next. Welcome to behavior triggered email. The concept is simple. Look at what a user does, or does not do, on your website and set up behavioral triggered emails to send them the right message accordingly. 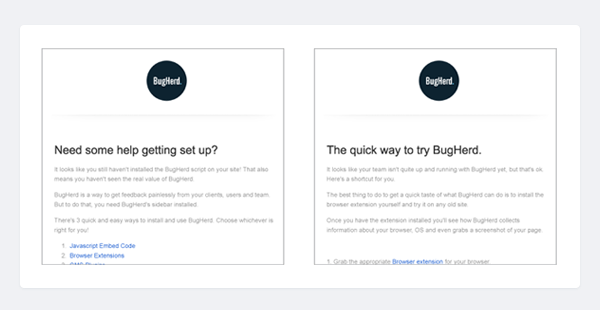 Bug tracking and support software BugHerd keeps a user in a sequence of emails to get them to install a piece of software on the users website. Only when that action is complete will Bugherd move the user into a different sequence of emails showing how to use the system. Or, if the user does not install the piece of code, Bugherd can move the user into a retention sequence to get the user interested in the software again or find out why the user lost interest. This approach allows you to focus on your core activation metric. Instead of a series of 5 emails over 30 days highlighting different aspects of your service you can run a series of mails pushing a single step without which the user cannot progress with your product. When, and only when the user carries out this action do you resume the broader sequence. Recent data from ExpertSender indicates triggered emails open rates are up to four times higher. Blogging platform Tumblr.com monitors what a user has done and what they have yet to do. Crossing out or ticking the action a user has already done reinforces the required user behavior and gives a sense of completion that people respond very well to. 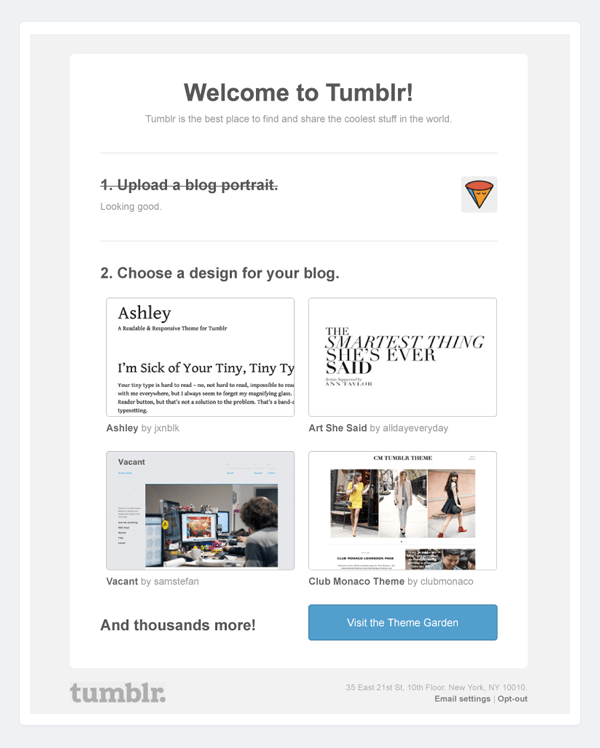 Tumblr does not bombard a user with the full list, but just the next required action. The next action is also being triggered directly from the email making the step seem even easier. Step by step, you showed him how to be a product ninja while guiding him through your service. You asked what he wanted to do next and were there to support and delight him. You found out what he really needed and gave it to him. And when he forgot about you, you gave him a gentle, and maybe not so gentle nudge. You did all this while working and growing other parts of your business because the entire process was automated. Now that’s the type of nifty marketing I like and will be using in my next start-up. 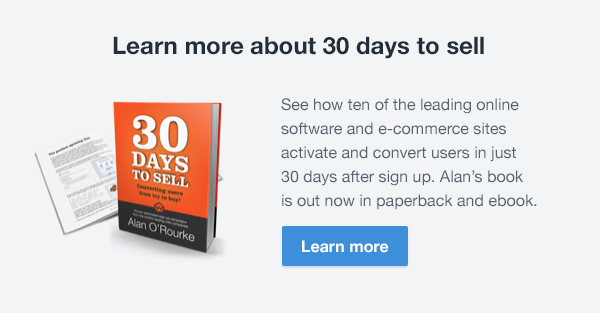 See how ten of the leading online software and e-commerce sites activate and convert users in just 30 days after sign up. Alan’s book is out now in paperback and ebook. 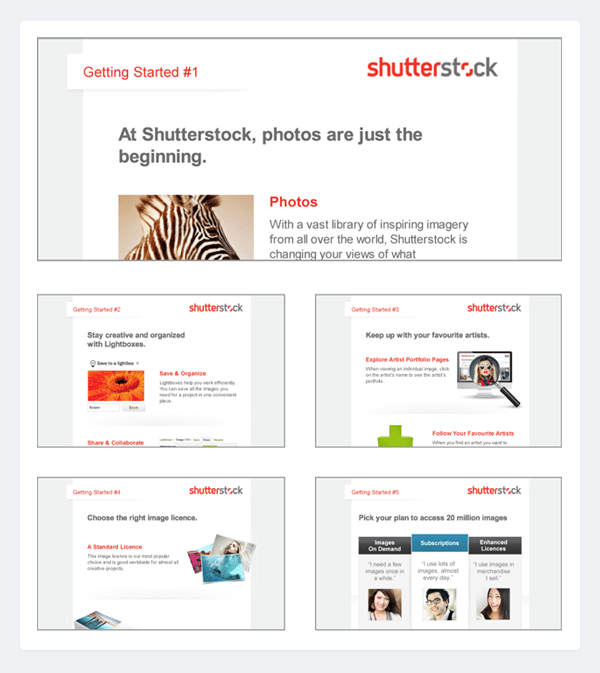 Alan is the creative director at WhatClinic and showcases email design examples at beautiful email newsletters.